With news of Hurricane Michael ripping its way through the south last month, it begs the question: how prepared are you for a natural disaster? Better yet, how prepared is your pal? Don’t feel bad, it’s not uncommon to be ill-equipped for a disaster until it’s happening, but it’s something we strongly suggest being ahead of the curve for, especially when pets are involved. With hurricane season lasting through the end of the month in some places, we’re offering a few tried-and-true preparedness tips for you and your pets. Make a plan. What may be considered one positive to hurricanes is that they don’t come out of nowhere but in stages, which can allow for slightly better planning. Familiarize yourself with the stages of hurricanes and at which point you will evacuate. Whatever plan you make, stick to it and make sure everyone involved is on the same page. Updated Information. We know we’re broken records with this, but make sure your pet’s tags and microchips are up-to-date. If your pet isn’t chipped and you live in a disaster-prone area, we highly suggest getting it done – it’s a painless, affordable way to increase your chances of being reunited with your pet in the event of separation. Keep them Close. If you decide to stay in and wait it out, put your pet on a leash or in its carrier to ensure you have control and can locate them during a time of high stress, especially if you do need to evacuate. Try to stay calm and comfort them as much as you can. Remember, being proactive when it comes to disaster preparedness can save you lots of time and stress when every minute counts. Your pal relies on you, so be sure to include them in every step of the plan to ensure every member of your family is safely prepared. 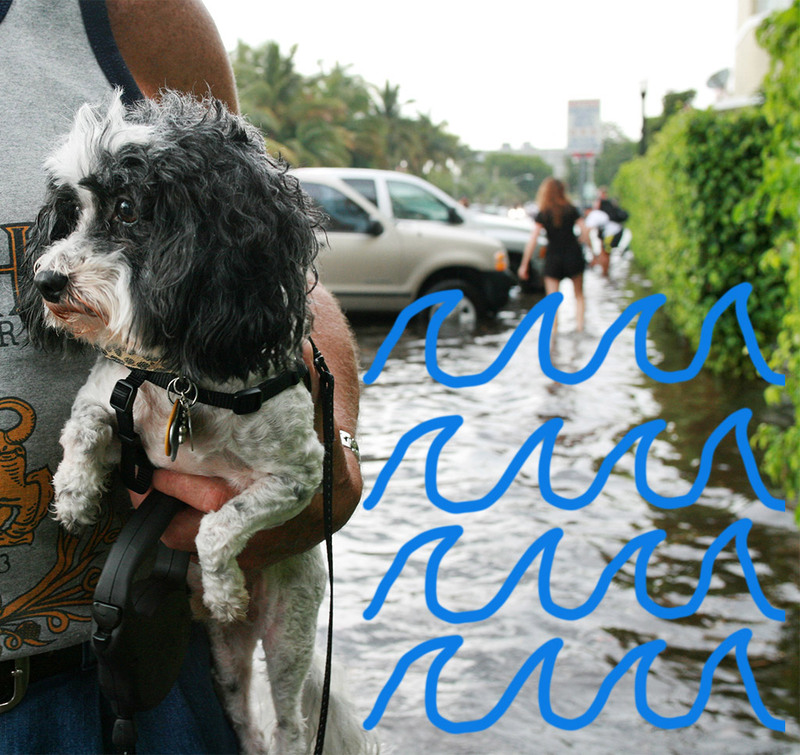 Do you have suggestions for pet preparedness during a hurricane? What have your experiences been? Share your tips on Facebook. Pet Diabetes: Do You Know What to Look For?